Bracelets or anklets made by stringing together the brightly coloured seeds of the plant Abrus precatorius. The bracelets worn to ward off jumbees or other spirits and influences. 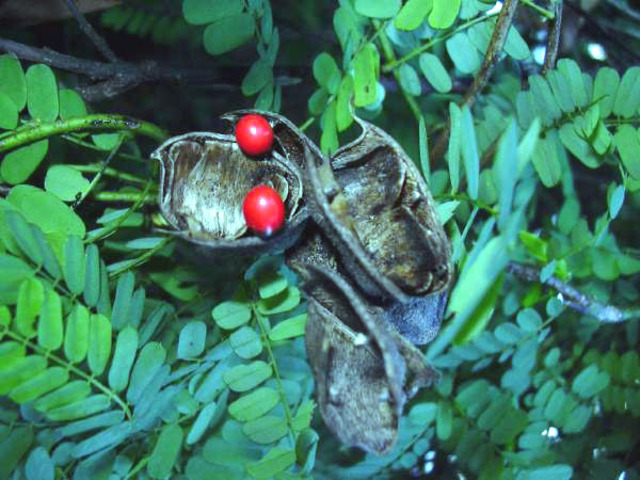 The seeds and plant of the climbing legume Abrus precatorius. It is primarily known for its brightly coloured seeds which are used in jewelry, art and craft, and as filling for percussion instruments and shakers. 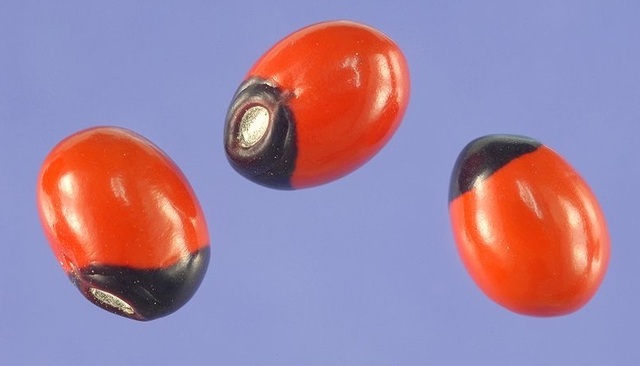 Most seeds are bright red with a black eye. However, they also occur in full red, full black, green, and white. Probably castor oil seeds. They also contain ricin. When I was growing up, I think those red ones were called 'buck-beads' .